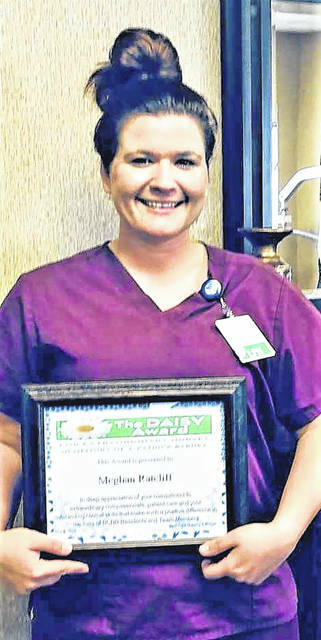 Meghan Ratcliff, a licensed practical nurse since 2009 and currently at Best Care Nursing and Rehab Center in Wheelersburg, recently received the 2018 Daisy Award for Extraordinary Nurses. The Daisy Award is an annual presentation held during nurse’s week, May 6-12. Ratcliff has been an LPN, LPN supervisor and is now health information management coordinator for Best Care. Exemplifies the essence of professional nursing in all activities.